As I continue to reflect on the journey that was 2015, I am still humbled and amazed at all that happened during the past twelve months. I'm eternally grateful to be continually surrounded by family and friends, and to produce work that makes a difference in the lives of so many students. I'm marveling at the vast diversity of experiences of the prior 365 days, inclusive of finishing my graduate degree, meeting a tremendously diverse array of amazing people, and traveling through ten countries Southeast Asia. Mostly, however, I'm left with challenging myself to figure out how to have a broader impact with the work that I can contribute in this world. I have very vivid and lasting memories from the sights, tastes, sounds, and meetings from this summer, and I'm still learning and exploring what it means to be an advocate for human rights while promoting corporate social responsibility. Through all of these musings, I also have vivid memories of how the summer concluded. Our final teaching assignment was in Sendai, Japan, and was crafted to be a tri-lateral summit. We taught our leadership workshop to advanced high school students from Japan, China, and Korea. The goal of this particular workshop was to show these young leaders that different nationalities could most definitely work together productively, and that they did not have to repeat the past of historically strained relations between country leaders. Students were quiet in the beginning of the week, though it didn't take long for most of them to become fast friends. One of my fondest memories was after Jaye and Martin delivered a joint TED-type talk. The students and teaching fellows were together in the auditorium, waiting for things to be reset in preparation for the next activity. I don't know who started what followed next, but it was amazingly fun - someone turned on the pop tunes and dance music, and the students from all three countries slowly started climbing up on the stage to dance to their favorite tunes together. The final song had two students in a dance-off with one another, all of which ended in tremendous laughter, smiles, and applause. One of the dancers took the mic to say to the audience of new friends: "Come visit me in my country! I would love to show you my home!" It goes without saying that the goal of this leadership workshop was met - the students saw each other as friends, as colleagues, and as future leaders on behalf of their respective countries. The other vivid memory of the time in Japan surrounded the field trip we took on our final day in Sendai, just a few hours before the closing ceremonies. One of the coordinators for the Japan student cohort, Mr. Akihiro Ozawa, was from Ishinomaki, a city roughly 30 miles north of Sendai. He was born and raised in Ishinomaki, still lives there today, and was present on March 11, 2011 - the day of the 9.0 magnitude earthquake and resulting tsunami. (See this short clip to better visualize the water's immense impact.) 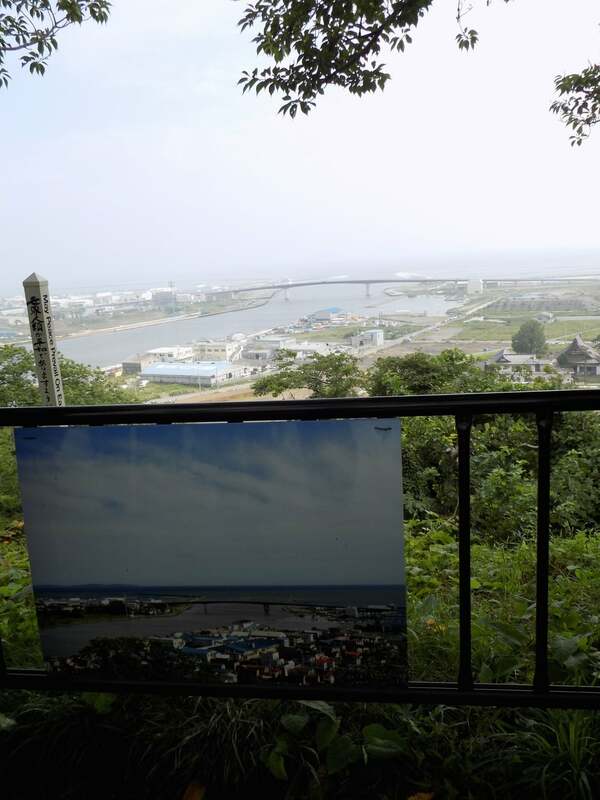 Mr. Ozawa took us on a tour of Ishinomaki, showing us the playground he grew up on, and less than 100 feet beyond this, took us to the overlook (pictures below) to help us visualize the wall of water that decimated the town. I've put captions under the pictures to better understand what you're seeing - but suffice to say, I was completely overwhelmed with the magnitude of devastation, the power of Mother Nature, and the complexity of our human existence. Throughout this tour, Mr. Ozawa narrated his own experience of the days and weeks following the tsunami, showing us the physical and human impact of this event. Mr. Ozawa's stories were of hope, of inspiration, and of how "disaster makes leaders" - demonstrating the good will that leaders from the public, private and outside sectors all demonstrated to help with recovery and redevelopment efforts. Following the sight-seeing, Mr. Ozawa took us to the local college where he had coordinated two others to share their perspectives with us. Mr. Dong hoon Lee is Professor of Business Management at Ishinomaki Senshu University. His talk also focused on the leadership that arises from disasters, specifically of the expectations that are now set for the younger generation of leaders who have lived through this event. He stressed that reflection is a critical piece when actions are being made, which ultimately helps in identifying limits and/or challenges that we all have. Mostly importantly, Mr. Lee argued that a leader must always think of friends and co-workers in any leadership situation, in an effort to better understand each other and work with ultimate cooperation. Without cooperation, he argued change will not happen. The third speaker, Mr. Takeuchi, is the chief editor of the local newspaper, who also shared his perspective on the March 11, 2011 events. In the immediate aftermath of the storm, he and other workers were hand-writing, copying, and distributing "newspapers" on single sheets of paper, reporting on the hopeful stories - like children being reunited with their parents - to keep morale somewhat boosted. The theme of Mr. Takeuchi's talk was on visible and invisible restoration. The clean-up, demolition, and reconstruction work are all efforts that are part of the ongoing visible restoration, still continuing at maximum capacity as the five year anniversary nears. The invisible restoration, he argued, was only beginning to be acknowledged. The trauma that the population experienced was life-changing. 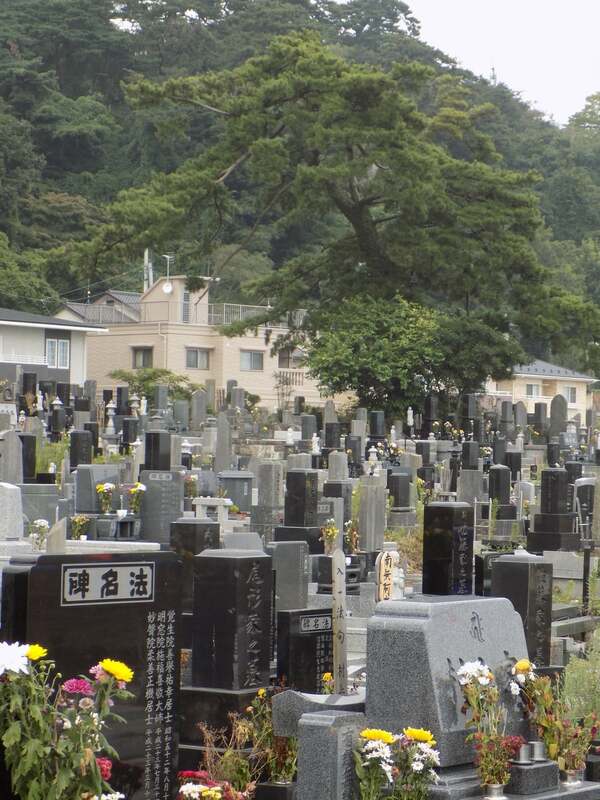 In Ishinomaki alone, over 4,000 residents died during the earthquake and tsunami, and 420 others are still unaccounted for and missing today. Over 10,000 Ishinomaki residents are still living in "restoration" housing (the step between temporary and permanent residences), yet there are not enough resources or builders to meet the demand for this housing need. Many children have not been attending school since this natural disaster occurred. Suicides have been steadily increasing since 2011; in 2014, the percentage of suicides was highest for individuals only in their 30's. Now, after five years, the community is beginning to see and recognize the effects of PTSD. Mr. Takeuchi argued that it will take at least 20 years to fully recover from the visible and invisible impacts of this devastation, and that is only if mental health becomes a critically recognized piece of taking care of the population now. Personally, I found this a entire sight-seeing trip a very emotional and bittersweet way to end the summer's journey. It was humbling to imagine the wall of water consuming this town, yet inspiring to continually hear the stories of hope and positive leadership emerging during the time of crisis. As I reflected on the prior 90 days, I was also shocked to recount the number of students who talked about his/her own personal struggles in the end-of-workshop speeches, yet at the same time was grateful that each who chose to share their story found not just the personal courage to speak up, but that each felt supported by peers in the class to do so. As I read the news from the States on our way to Ishinomaki, it was days shy of the ten-year anniversary from Hurricane Katrina. While some recovery efforts have been realized there, so much more is still yet to be done, both with the visible and invisible recovery. (This, too, is a well-done article about the lasting impacts of Katrina.) While Mr. Takeuchi spoke from his personal viewpoint for the citizens of Japan, the news from the US reminded me that mental health issues transcend any nationality or any country - it is truly a worldwide epidemic. Only once mental health is viewed - and believed! - as a critical component to the overall wellbeing of an individual will recovery (from disasters or otherwise) truly be on the road to completion. While part of me feels an incredible sadness writing tonight as I remember the emotions present in the speakers of that day (and, frankly, in my students from this summer who shared their mostly silent struggles), I also sense significant optimism throughout this all. People are starting to recognize mental health as a vital issue critical to healthy living and healthy societies. As we continue through 2016 and beyond, I only hope that we each can encourage one another to take care of ourselves completely; in doing so, we will all become better as a whole. Looking out over the bay at Ishinomaki. The picture below is what the land looked like before the tsunami. The wall of tsunami water was said to have reached the bottom of the bridge - 18 meters, or 59 feet. This is the waterfront at Ishinomaki. Those are the tremendous waves crashing ashore on a "normal" day. This is the view looking behind me when standing at the bay at Ishinomaki. The wall of water continued to plow through this part of the town and against the mountains. This was an elementary school that stood at the foot of the hillside. Every single child in this school made it up the hill and survived the tsunami. When the wall water approached, it pushed everything in its path - including cars and boats filled with gasoline - into whatever standing structure it ran up against. In this case, it hit the school and exploded into flames. The school still exists (children are using the baseball field in front), and is under consideration for turning into a memorial. This is one of the grave-sites of the residents who lost their lives on March 11, 2011, located on both sides of the elementary school. This was a single yellow daisy growing solo on a mound of dirt; in the background, the grave site that is nestled next to the elementary school. The only building left standing from the tsunami in Ishinomaki. A glimpse of the restoration housing (over 10,000 residents live in these types of settlements as they await help with permanent housing reconstruction). Row upon row upon row of these units, each of which house 3-4 families. They have very little privacy, and most all noises are unfortunately transparent throughout these restoration villages. Beautiful orchids displays were throughout the school in celebration of the Sendai High School Boy's trip to the HS Baseball Championships! They lost in the final playoff, but the entire town was proud of their achievements. It was the first time in 100+ years they had made it to nationals! The Teaching Fellows at the conclusion of the trip. (L-R) John Lim, Martin Attiq, Jaye Buchbinder, Samuel Kim, John Lee, Adam Malaty-Uhr, yours truly, and Faton Limani. What a memorable trip with all of you!! The front of our bullet train, which whisked us from Sendai to Tokyo (just under 250 miles) in less than 90 minutes.